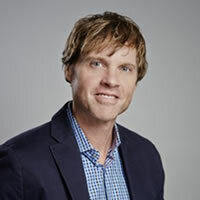 James Smith is a seasoned executive leader for innovative digital brands with a proven track record of building teams, revenue growth and company value. With more than 15 years of experience in the industry, James has trained and worked with some of the best minds in the business. Throughout his career, James held Chief Revenue Officer roles at Huffington Post, Flixster, and Verve Mobile. James also held leadership roles at Americas at Criteo, and SVP at AOL and Sony Pictures Digital Entertainment.